HP’s Spectre x360 15 changes everything. 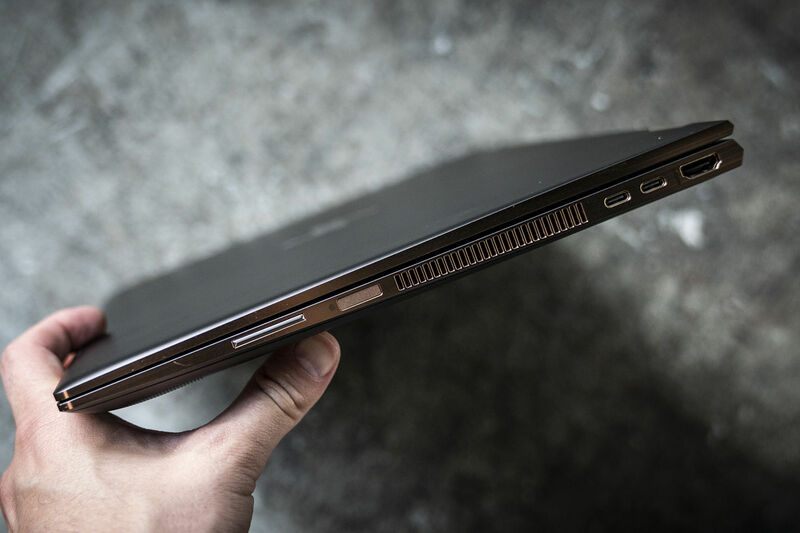 Specifically, the version that wields Intel’s Kaby Lake-G CPU, fortified with Radeon RX Vega discrete graphics, upends the stereotype that 360-degree convertible laptops – ie laptops you can flip the screen around the back and use like tabvlets – can’t deliver top performance. And we’ve proven it by comparing the Spectre x360 15 with Kaby Lake-G against its twin running Kaby Lake-R, as well as some high-end clamshell designs. The Kaby Lake G version is as fast or faster than all comers. The Spectre 15 x360 15’s journey has been a long one. When we reviewed the first generation in 2016, it was basically designed to be a giant ultrabook with a big screen, rather than a pricey powerhouse. Compared to a Wacom tablet or iPad, 1,024 levels of pressure sensitivity doesn't sound like much – but for sketching and drawing in tablet mode (below) it's adequate. If you want more sensitivity, look to the 'pro' version, the ZBook Studio x360 15. The new HP Spectre x360 15 comes in Dark Ash Silver with Copper Luxe highlights. Externally, the Spectre 15 x360 might look the same at first glance, but that’s just the Dark Ash Silver colour. 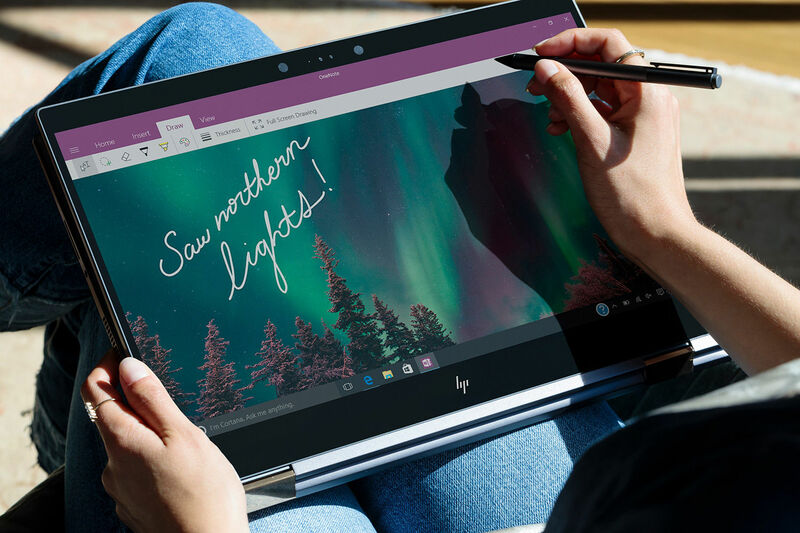 Look closer, and you can see HP has given the Spectre x360 the same sharply beveled lines of the 13-inch version. The screen bezels have slimmed down on the sides. HP also integrates an IR-based Windows Hello-compatible camera and a fingerprint reader strip. We measured our review unit at just over 14 inches wide by 9.75 inches deep. HP claims it’s about 19.45mm thin (about three-quarters of an inch), which we confirmed. It’s slightly thicker than the previous version, which was 17.9mm. One complaint we definitely have is the weight. Our unit sans power brick came in at 4 pounds, 10 ounces. That’s actually a few ounces heavier than the previous version. Some of that comes from the hefty 4K touchscreen and its glass protective layer. One good side effect of the extra weight is the stiff chassis. Pick up the Spectre x360 15 one-handed, and you needn’t fear that you’ll bend it. HP has jumped into 4K with both feet on the Spectre x360 15. While most PC makers offer a 1080p version to lower cost and increase battery life (higher-resolution screens inherently use more power), HP offers only a single, 3840x2160 IPS-like panel option. As more laptops offer 4K displays, it's important to know that this spec isn't a slam-dunk when it comes to quality. Our unit's panel is reasonably bright at a measured maximum output of 319 nits, but other high-end models can hit 400 to 500 nits. 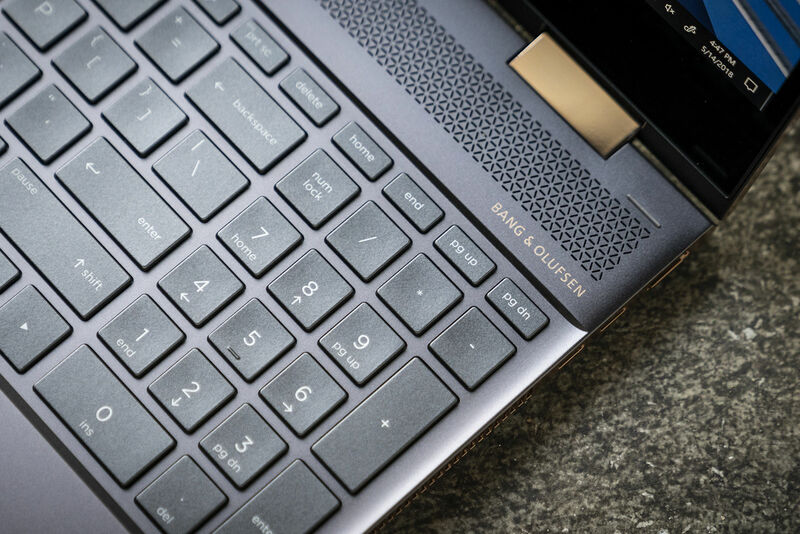 Unlike Apple and Dell, who are busy taking away key travel, the HP Spectre x360 15 features a full 1.5mm of travel on its keyboard. HP takes a new direction with the keyboard in this generation as well. The prior generation had speakers flanking the keyboard. In this new design, the speakers disappear and the backlit keyboard stretches edge to edge, allowing room for a 10-key numeric keypad. Yes, number-crunchers, it’s a properly designed 10-key, which Gigabyte and MSI still haven’t learned how to implement. 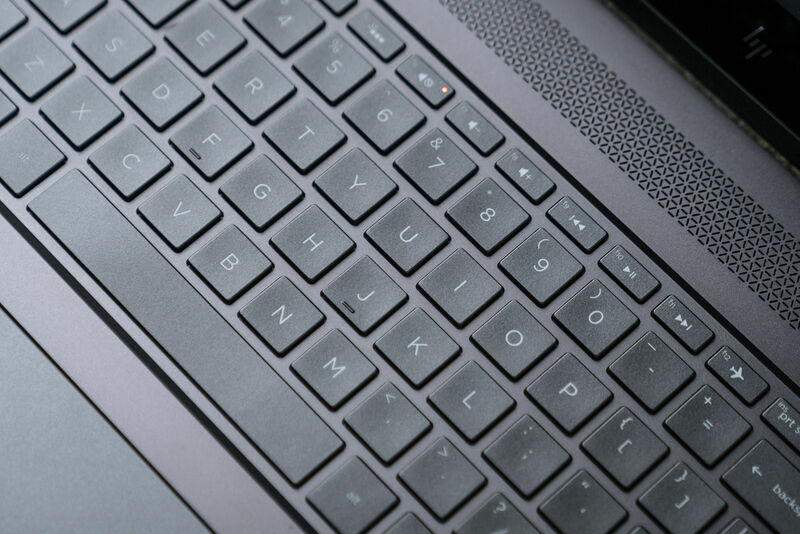 While Apple and Dell have been acting like airline carriers, taking away creature comforts like keyboard travel, HP gives you what feels like business-class service, with a plush 1.5 mm for your weary fingers. Our only quibble is the half-height cursor keys for moving up and down. An inverted 'T' is always preferred. The trackpad is a glass-coated Synaptics ClickPad that’s slightly offset to align with the keyboard. We’ve had palm-rejection issues with some of HP’s extra-wide trackpads in the past, but this one we could not get to trigger. Good job. The Spectre x360 doesn’t skimp on connectivity. You get a pair of Thunderbolt 3 ports and a full-size HDMI on the right side. On the left there’s an SD card reader, analog audio jack, standard barrel charger, and—wait for it—a USB Type A port! Yes, Internet, rejoice! 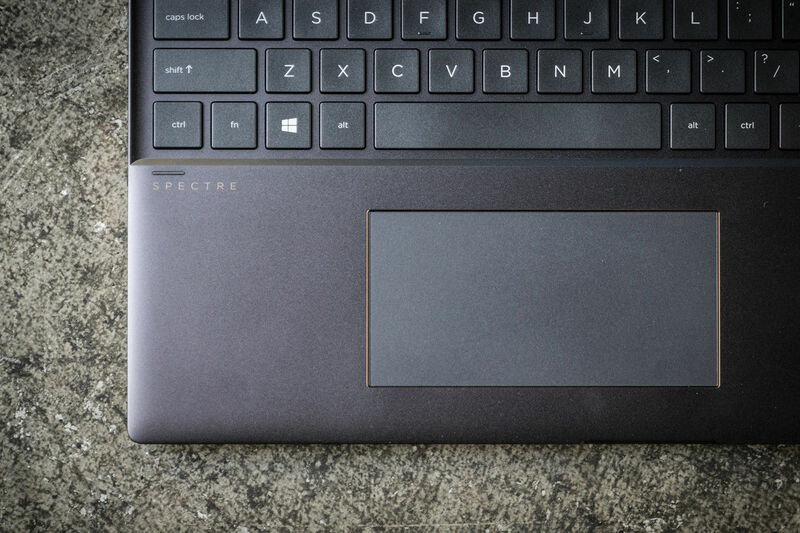 If you do a little dance because there’s still a USB Type A port on the new HP Spectre x 360 15, that’s perfectly fine with us. The charger for the Spectre x360 15 is a beefy 150-watt unit. The Thunderbolt 3 ports with USB PD will also charge the laptop, but at a slower rate than you’ll get with the traditional barrel charger. Much of the excitement around Intel’s Kaby Lake-G CPUs stems from its once-unthinkable marriage of a custom Radeon RX Vega M with a quad-core 8th-generation Kaby Lake CPU. We expected strong graphics. The surprise for us came from the CPU side of things, though. As with previous generations of its laptop CPUs, Intel’s 8th generation comes in two variants: low-power “U” chips and high-power “H” chips. The H chips usually rule the school, but Kaby Lake-G brings in some fresh, fast blood. Intel has been pretty coy about exactly what’s inside the “G” series of CPUs. Sure, they’re 8th-gen, but are they low-power or high-power? Well, it turns out, they’re high-power for the most part. Intel said it's using a new Dynamic Power Sharing feature that's possible only with the unique design of the Kaby Lake-G CPU. As you might guess from the name, performance between the CPU and the GPU is shared based on workload. If the GPU is at rest, power and thermals can be used to push the CPU to higher levels. 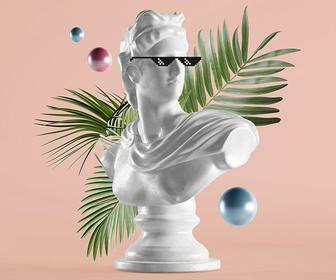 Our performance tests, therefore, are really a battle between the established H and the upstart G (while the low-power U watches from the sidelines). Which will prevail? 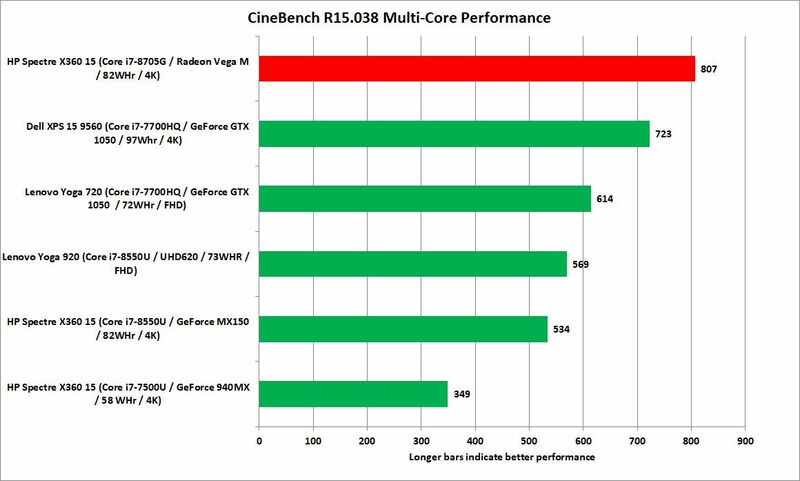 First up is Cinebench R15, which tests multi-core CPU performance when rendering a 3D scene. We included results from the two other Spectre x360 15s in our performance chart: The Kaby Lake-R twin to our test unit, with the low-power quad-core Core i7-8550U, and the previous-generation low-power dual-core Core i7-7500U. The older unit comes in last, while the younger easily outpaces it. As we expect given its Core i7-7700HQ H chip, the Dell XPS 15 clamshell outruns everyone...except the new Core i7-8705G. The Dell XPS 15 and the new HP Spectre x360 15 actually have the same basic CPU, but the 8th-gen Kaby Lake-G version in the Spectre x360 15 is more than 50 percent faster than the 8th-gen Kaby Lake-R version in the XPS 15. One other result we want to point out above is from the Lenovo Yoga 720. It’s another 15-inch convertible laptop with a high-power Core i7-7700HQ inside, plus GeForce GTX 1050 graphics. But it’s a good example of the performance you give up when you try to stuff a 45-watt CPU inside a convertible laptop with a 75-watt graphics card. In this CPU test, the Spectre x360 15 is more than 30 percent faster. The Cinebench benchmark is very useful, but it usually takes just a couple of minutes to run on many laptops. That’s not long enough to see how prolonged heat affects a system. 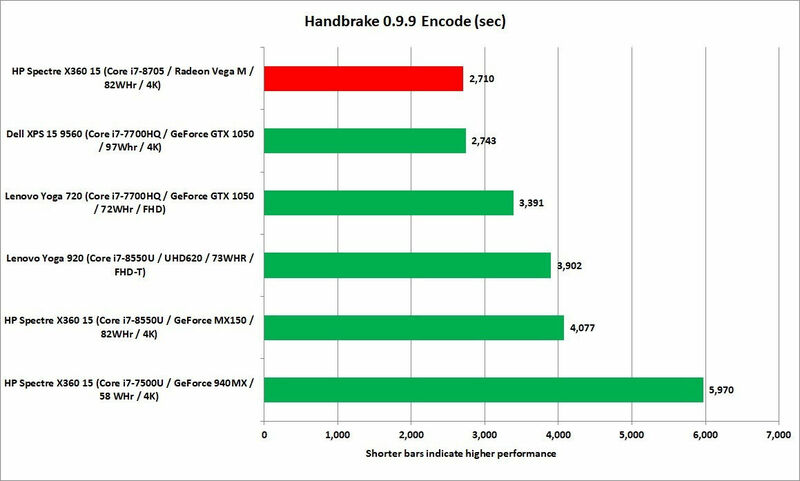 That’s why we run our HandBrake encoding test, which can push the CPU hard for more than 40 minutes on a quad-core. In theory, if a laptop isn’t adequately cooled, or if it decides to sacrifice performance for fan noise, the effects will show up here. The results again put the new Spectre x360 15 ahead of the competition, but it’s really a tie. The good news for HP is it’s tied with Dell’s XPS 15, which is a standard clamshell design with fewer thermal compromises. What the test really tells us is the new Kaby Lake G is every bit as fast as a 45-watt H-series CPU. 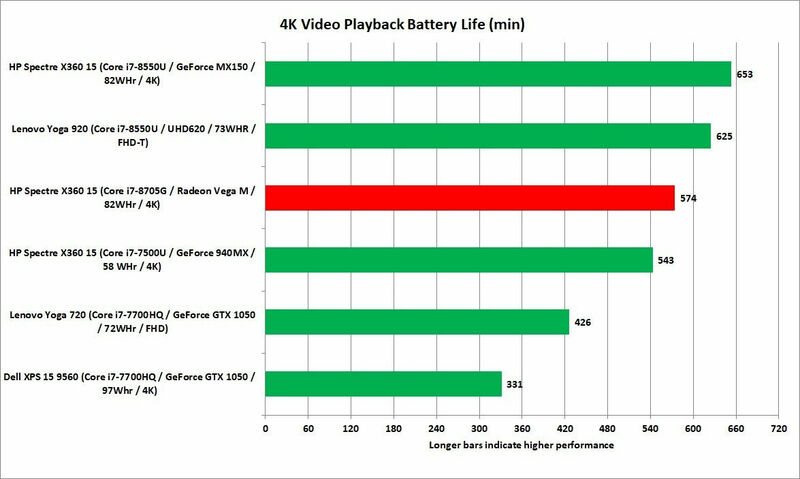 Our last test is likely the most important one for those who buy a laptop: battery life. We loop a 4K video at a relatively bright 250 to 260 nits, with the laptop set to airplane mode, and with earbuds connected. The results for the Spectre x360 15 are fairly impressive, but not the winner. The winner is its near-twin, the Spectre x360 15 with a Core i5-8550U and GeForce MX150. Remember: Both laptops have the exact same-size battery and the exact same screen. Still, for a laptop with this much CPU and GPU performance, this is an impressive result. 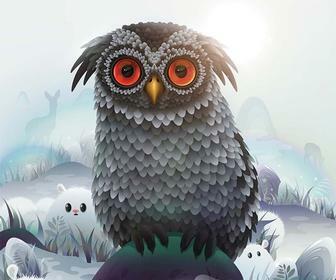 This still doesn’t mean you can use your creative applications on batteries for nine hours. It means you can probably watch movies on the SSD for that long. 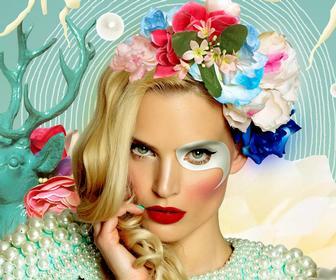 Photoshop, After Effects, Premiere Pro, Cinema 4D and the like will use far more battery. While we were hoping that the Spectre x360 15 be lighter rather than heavier, the extra weight is worth it for the performance and sturdiness.